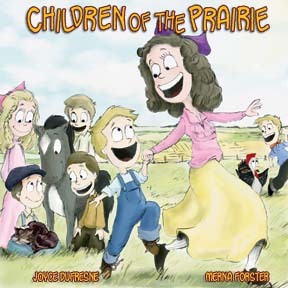 The picture book Children of the Prairie was published by Baico Publishing of Gatineau, Quebec in December 2004. Based on a true story, Children of the Prairie is a heart-warming tale about family and the simple pleasures of growing up on the Alberta prairie. A touching recollection of childhood and the hardships of pioneer life from the perspective of a young girl. When Joyce moves from the city to a prairie farm, she and her brothers and sister have a string of adventures. Will the children like living in the country? Will they be able to have a horse? What will it be like walking miles across the prairie fields to get to school every day? And will Dale ever stop getting into trouble?